I spent part of the day getting acclimatized to Durham, North Carolina, figuring out the lay of the land, so to speak. Moving right along, I stepped outside and partook in a demo/open mic speaking out against the so-called 'Bathroom Bill', also known as House Bill 2, or the HB2 legislation currently up for debate here in North Carolina. If you are unfamiliar with this proposed legislature, I recommend you school up on it. Among many things, it proposes a ban on transgender folks using their gender-identified public bathrooms. Moogfest has released public statements about this topic, and most of the performing artists have shown solidarity. I spent a good amount of time and money at the Moogfest Modular Marketplace. Sigh. It was better than what you imagine it to be. I will probably go back before this weekend is up. My only real thoughts on this are how to get all the things home? I'll report back when I've come up with a keyboard transport plan. Now, let's get to music!! In the evening I explored the Motorco Park area. There are several venues located here, including a giant open-air stage, and a smaller club. I got to glimpse some of Floating Points' set, with their amazing visuals. It was absolutely lovely. I couldn't see the entire set, because, you know how festivals go, there are always so many things to see at once. I quickly headed to the small venue next door to catch legendary Silver Apples. Now a one-man show, Simeon captivated the audience and showed us where the legend comes from. 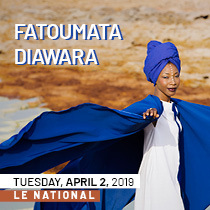 I am so happy I got to see him perform live, I am a big fan of his music, and this was definitely a festival must-see for me! Check! 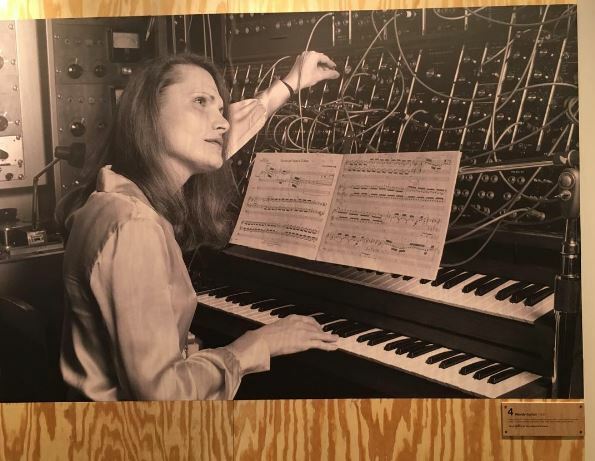 Wendy Carlos. Photo by Julie Matson. Next up at the same venue was Zombi. They blew me away! Live drummer and combo keyboard/guitar player, just 2 of them, but the wall of sound they created was deluxe! I heard some other festival-goers beside me comment that they sounded "just like Rush." I don't know if I would go that far, but they definitely are in that prog-vein, in all the right ways. After their set, we waited for almost an hour to see Gary Numan perform the first night of a three album triptych performance. The most amusing thing during this time was to read up on social media about Gary Numan. Highlights include this and this. Hopefully Numan's tardiness doesn't prevail for the next two nights' showcases. Definitely a seasoned performer, Numan had all the moves and angles down to capture the best photos, a bonus. I had to leave his set before it ended to try and catch the other acts I wanted to see tonight. On my way out I passed many people shaking their groove things in the street to Miike Snow. As one should, this Swedish pop sensation are the masterminds behind hits by Madonna, Kylie Minogue, and even won a grammy for their work on Brittany Spears' "Toxic." Luckily Durham is very accessible, and Moogfest mapped out venues just right, it was only a hop, skip and a jump before I was back at the Carolina Theatre to be lulled by musical genius of Daniel Lanois. This was the perfect way to end the night, hearing the soundscapes of Lanois' lap steel guitar and dreamy drones. If you aren't in Durham you can still watch many of the live performances on the Moogfest page! Tune in, maybe you'll see me somewhere in the background! Julie Matson is covering the 2016 edition of Moogfest happening in Durham, North Carolina, and also hosts Beyond The Black Rainbow where she puts back the experimental back into experimental music every Monday at 4pm ET. Read her conversation with Moogfest festival director Marisa Brickman, and keep it locked to CJLO On Air and online to hear more of Julie's tales from Durham.